In 2003, California voters recalled then-Governor Gray Davis, largely over one issue: increased car registration fees. California is a huge state. Despite what the Democrat party would have you believe, public transportation can't fulfill California's transit needs. In most parts of California, we don't have the population density required to make public transportation effective. In short, we need our cars. For some reason, California's politicians treat cars as a luxury instead of a necessity. Californians just trying to live and get to work, see this differently in an otherwise very liberal state. Voting yes on 6 reminds politicians we don't consider driving in California a privilege, but a necessity that shouldn't be burdened by extra taxation. We have to drive to get to work to pay our taxes and to get to the store to feed our families. We expect politicians to prioritize spending on roads so we can do that. We expect that to be paid for from the massive amount of taxes we already pay, because we consider it a basic function of government. Voting yes on 6 also repeals a big gas tax increase. Maybe you noticed the hike in what you pay at the pump. It was about 12 extra cents per gallon. In my case, that's about $30 extra per year added to my commute. I drive a small, gas-efficient vehicle. If you drive an SUV, it could easily be hundreds of dollars a year. 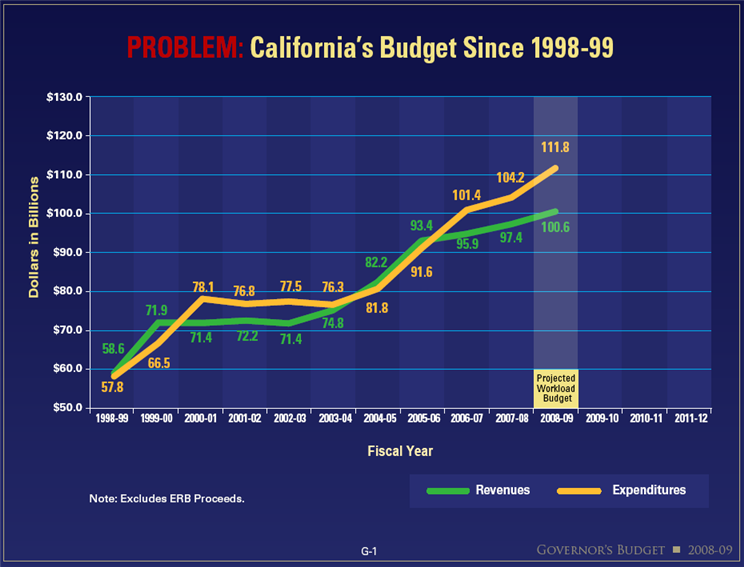 (1) If you pass Prop 6, then road repair spending will drop to, like 1990's levels! This is a scare tactic, and good policy shouldn't rely on scare tactics. There is no reason road repair spending has to drop. Vote yes on Prop 6 and then write your representatives a letter saying you oppose new taxes but want them to prioritize spending on repairing and upgrading roads. (2) All the money goes to road repair, not the fake high speed rail project! First of all, if you have to say that you admit that the high speed rail project should be shut down, because obviously most voters have recognized it's another lie and waste of money (it isn't even high speed--it's now going to be "mixed use" rail, so it'll go more slowly than most cars). Secondly, it's true the money is earmarked for transportation projects, but high speed rail is a transportation project. Nothing prevents the diverting of funds to that idiotic crony train project. It's ridiculous. Even more ridiculous is the idea that a tax cut means less spending on roads. This was created in 2008 as part of a post on how to address California's budget difficulties at that time. Here's the amazing part: 10 years later, we could still cut the programs proposed here (Mish's California Budget Proposal) and raise more than enough money to more than make up for the "revenue" cut voting yes on Prop 6 will cause. VOTE YES ON PROPOSITION 6: Never miss an opportunity to cut taxes on yourself and force greater fiscal responsibility on the government, whether state, local or county. Yes on Prop 6 is good for California and Californians. The past few weeks have been exciting for really dumb reasons. The Kavanaugh confirmation hearing fight was long and pretty awful. It was also a bit of a distraction. Much of our political infighting is. For years, politicians have been buying our votes. Not directly, but by promising that if they're elected, they'll bring lots of taxpayer dollars to their home districts. I'll skip the lecture on how immoral making our children and grandchildren pay for our spending is. Let's talk about how dangerous that kind of debt is to all of us. We've had at least two warnings from people who know about our national debt. "On Sept. 22, 2011, former Chairman of the Joint Chiefs of Staff Michael Mullen warned: 'I believe the single, biggest threat to our national security is debt.'" Opinion and analysis column here. The writer goes on to warn: "The United States is racing toward a fiscal cliff. We are taking few measures to save ourselves from the fall and ruinous fate once we go over the edge." Although there are some who disagree, one of the biggest reasons for the collapse of the Soviet Union was unsustainable spending. Most people who disagree don't want to give Ronald Reagan credit for ending the Soviet Union through an arms race and to be fair, that wasn't the only factor involved. Overspending was definitely a part of the collapse, though, and if most analysts are to be believed, it was probably the biggest part. It is folly to believe the US can't do the same to itself. Ask former entertainment and sports stars who thought they'd never run out of money how shocking it is when they do. The US is on the path to do the same thing on a much larger scale. I wouldn't expect readers to accept Mullen's word alone regarding this danger. Director of National Intelligence Dan Coats testified before the Senate Intelligence Committee on Tuesday, outlining a series of rising global and cyber threats the United States faces from adversaries including North Korea, Russia, Iran, and China. But he also warned against an internal threat that he says could undermine US economic and national security: the national debt. "I'm concerned that our increasing fractious political process, particularly with respect to federal spending, is threatening our ability to properly defend our nation both in the short term and especially in the long term," Coats said alongside five other top intelligence chiefs. "The failure to address our longterm fiscal situation has increased the national debt to over $20 trillion and growing." "I would urge all of us to recognize the need to address this challenge and to take action as soon as possible before a fiscal crisis occurs that truly undermines our ability to ensure our national security." The really scary part of these warnings is that I have no idea how to stop it. I don't know how to make politicians see that this matters more than everything else, especially when all people seem to care about is Roe v. Wade. If enough of us wrote our representatives, we might make a difference, but I don't think most people care. They're distracted, busy fighting one another over important, but lesser concerns. I fear we won't do anything until the crisis is upon us.